AFTER his smash and grab job in the west of the country, Victorian sprinter Orson Allen is the $5 favourite ahead of April 20’s Group 1 Golden Easter Egg (520m) at Wentworth Park. The Correy Grenfell-trained dog was brilliant in the Group 1 event, spearing out from box seven to deliver an all-the-way win at Cannington, taking his career earnings to just under half a million dollars. 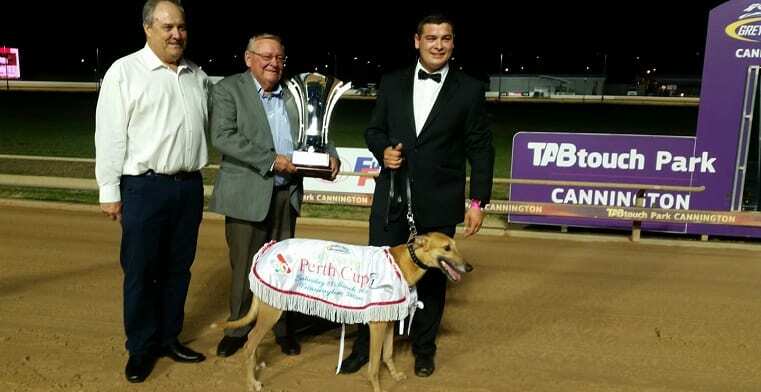 The Perth Cup victory was Orson Allen’s first success at G1 level and the fourth-straight win. There are only two runners heading into this year’s edition of the Golden Easter Egg under double figures. The Australian Cup runner up Black Opimum ($8) is the only other runner in single figures with online bookmaker Sportsbet. Cult hero Poke The Bear ($13) is on the third line of betting while Campini, Deliver and Pindari Express are all locked together at the $15 quote. The first heats for the 2019 Golden Easter Egg kick off this weekend at Wentworth Park with the main event slated to take place on April 20.